I'm the kind of person who loves almost all kind (genre) of music- pop, rock, hip-hop, EDM etc. EDM (Electronic Dance Music) is very much trending now. And hopefully or unfortunately it will replace the rock music within 5-6 years a lot. In my young age, a rock concert was the main attraction; people were going mad when rockstars performed on stage. But now the days have been changed. EDM is quite popular even in India also, most especially in metropolitan cities like Pune, Delhi, Mumbai, Hyderabad, Kolkata, Chennai etc. I heard about sunburn festival (which is considered as the biggest music festival in India) in my younger days, but I knew that happened only in Goa. But later I came to know that happens in India's metropolitan cities too. Still, there is a lot of difference between Pune/Mumbai/Delhi sunburn and Kolkata (my city) Sunburn. EDM is not as popular as it's in those cities. Sunburn can pull a huge crowd those cities, and they make a huge profit from there but in Kolkata, not much people are aware of this kind of music, and moreover, not everyone likes this music. I wait every year for this day only. When will the authority announce the date and venue? Generally, there are two venues there in Kolkata- Eco-park and Aquatica. I have a friend who all time stays updated with this kind of news. And I told him many times- whenever Sunburn authority will announce the date and venue just let me inform as soon as possible. So a few days ago he informed me- Sourajit, Sunburn Kolkata is going to happen within one month, and they will start selling tickets from today. Am I was so happy after hearing that. Opened BookMyShow and the early bird's ticket was available at that time because it might be a few hours only, they started selling their tickets. I did not know at that time, with whom I can go to sunburn, but what I did immediately, is purchased two tickets of sunburn at that time. And continuously asking my mom if there is anyone who can go with me. But I found no one. It was quite disappointing that I got the tickets for what I wait for the whole year and there is no one to go with me. And moreover, I told that before- the music is not for all. So I gave a WhatsApp status seeking for a partner to go to sunburn Kolkata 2018. A very close friend of mine texted me back and asked about the price. When I told him- 1800 rupees, he saw the message, but I got no more reply from his side. 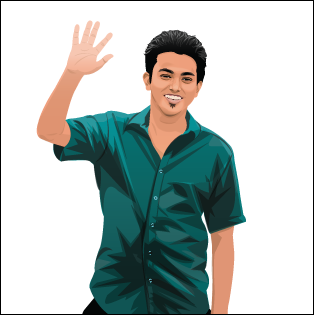 Then another close friend of mine (Meghasree) asked me- whats the price of the ticket bro? Then we talked over phone for better discussion. and she finally confirmed me the next day that she will attend this event. As she lives in Newtown right now, so it will hardly take 15 minutes to reach the venue. And its quite easy to come back to her flat for her. I also asked a few of my friendly personality, by calling them. And later I got a positive response from two more friends. One of them is Babi- and she already paid me for her ticket and I have booked that also. Right now I don't have enough balance in my account to pay for my another friend's ticket. It's so disappointing. She is trying hard to arrange a ticket at any cost, even the early birds have been ended, so if she wants to purchase the same ticket, she has to pay 200 rupees more. Anyway, but hope she will purchase her ticket shortly. So now we are four, and two more friends of Meghasree will meet us and join us in the venue. So right now we are six to attend sunburn Kolkata 2018. Now if I talk about the lineup- if you are a true EDM fan you may be familiar with the name- Swedish House Mafia. Three DJs are there- Sebastian Ingrosso, Axwell and Steve Angello. 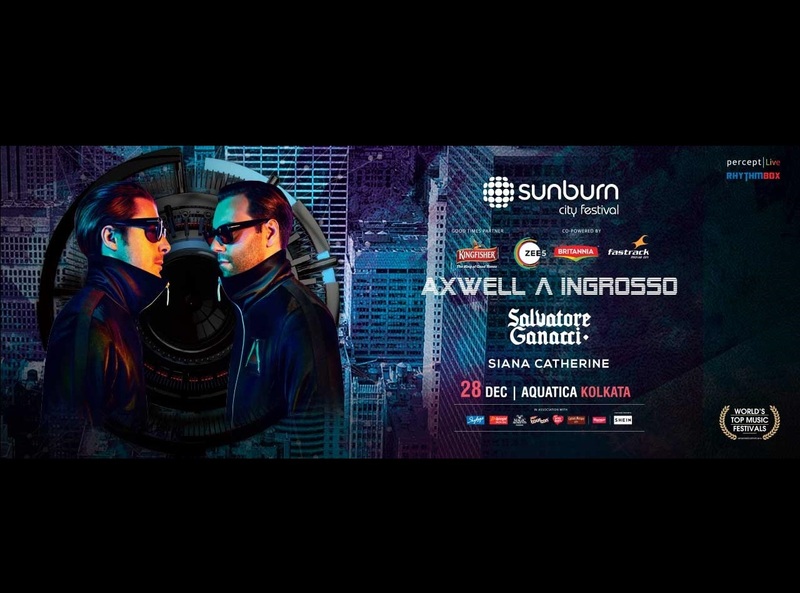 I heard from Abir (who informed me first about the sunburn this year I Kolkata) that there are some problems among the members, so they have been divided, and Axwell & Ingrosso will come this year's sunburn. And they are the main attraction. Apart from them. There are a few more DJs also, both local and international. Previously I have seen the live performance of Kygo, Marlo, Armin Van Buuren, DJ Snake, Nucleya, KSHMR etc. and this time we are going to taste something different. If you have never watch Swedish House Mafia's video then here is a popular one for you. Right now I have three tickets of sunburn 2018. Another one has to purchase one I will receive money to my bank account from Ilena. Today is 3rd December. 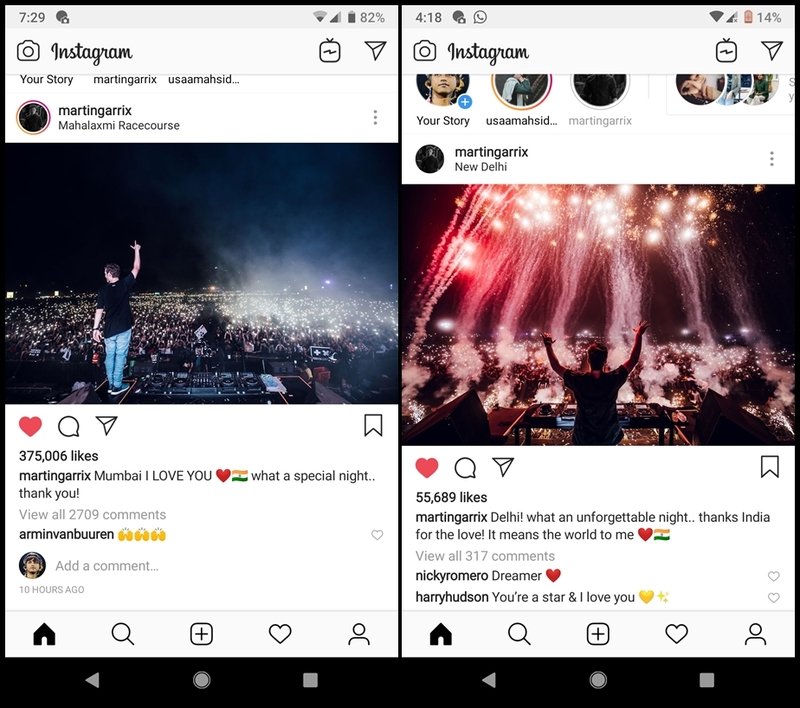 Actually, I waited for the whole year for Martin Garrix, if by any chance he would come to Kolkata sunburn. He came here once, in 2016, and at that time I didn't know that sunburn even happens in Kolkata also. All it was a great mistake. Anyway, I was waiting for Garrix and Garrix came to India, but not in Kolkata. He performed in Mumbai on 1st November, 18 and 2nd November in Delhi. He is also excited about performing in front of the Indian audience. He also posted pictures of both concerts and here are those screenshots are taken by me. There are mixed feelings inside me now. I'm so happy that Garrix is in India now. And I'm so sad that, even when he is India, I could not be able to watch his performance.